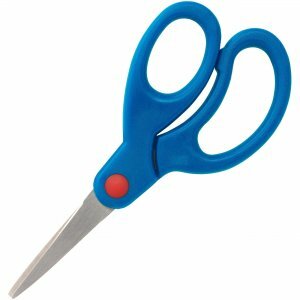 5" scissors are designed for use by kids between 3 to 8 years old. Bent tips on the blades provide a safe way for kids to work on arts and crafts projects. Corrosion-resistant stainless steel blades keep a sharp edge longer. Blades are finely ground for smooth, consistent cutting. Scissors feature a comfortable grip for added safety while cutting. Rubberized grip allows more comfort and control.